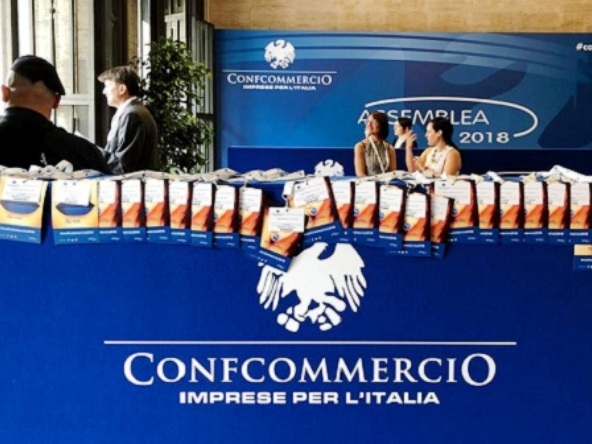 Once again, Tecnoconference Europe – Gruppo Del Fio, the official partner of Confcommercio, supplied all technologies for the General Assembly that took place on June 7 in Rome. 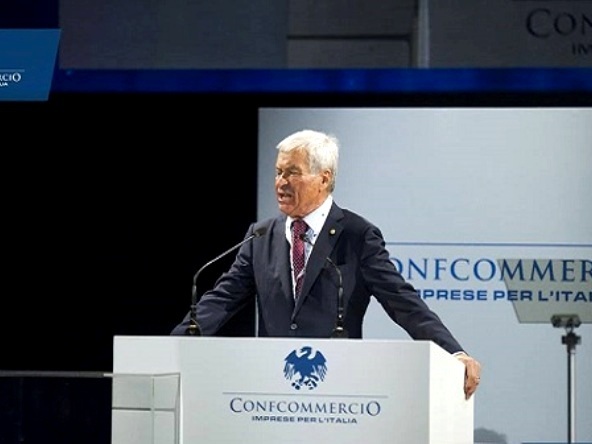 The opening speech was given by President Carlo Sangalli. 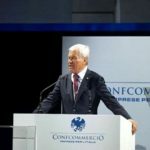 The General Assembly saw the participation of some of Italy’s newest Ministers, such as Luigi Di Maio (Economic Development, Labour and Social Policies) and Giovanni Tria (Economy and Finances). 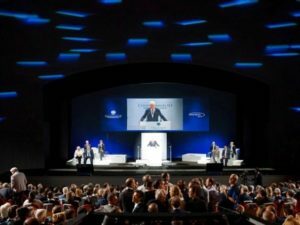 The technological equipment supplied by Tecnoconference Europe – Gruppo del Fio included a large screen on which live images and picture-in-picture graphics were projected thanks to a full HD multi-camera system. The press room was remotely connected to the Auditorium via CCTV. 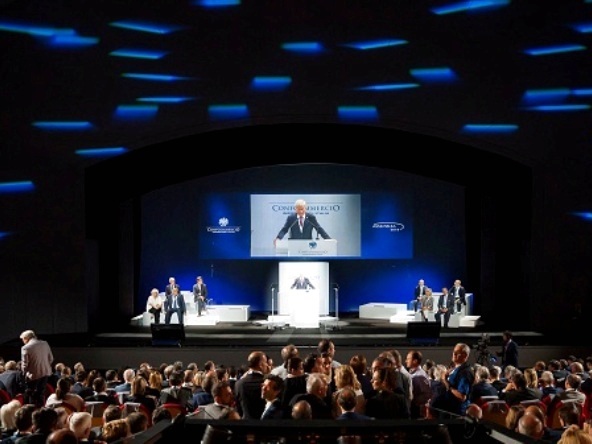 Tecnoconference Europe also provided digital badges, 15 on-site accreditation stations and laser readers. 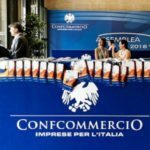 Tecnoconference Europe – Gruppo Del Fio is one of the major suppliers of technological products for events in Central Italy. 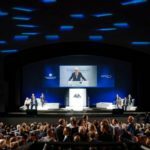 Besides audio-visual systems and equipment, they provide a complete and thorough service: from a creative project idea, to the idea development, to the set design planning, to the technical production.